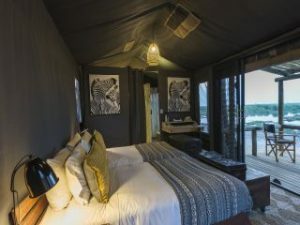 A small and modest tented camp with a waterfront location. 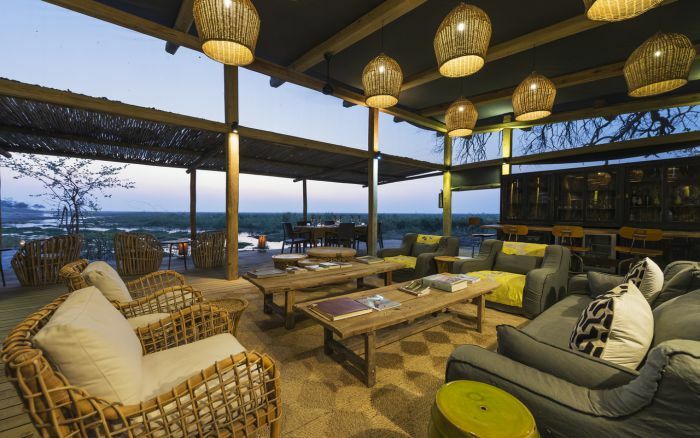 This authentic tented camp operates seasonally from May to November. It is used predominantly for set small group departures but can also be booked exclusively for small groups on a tailor-made trip. 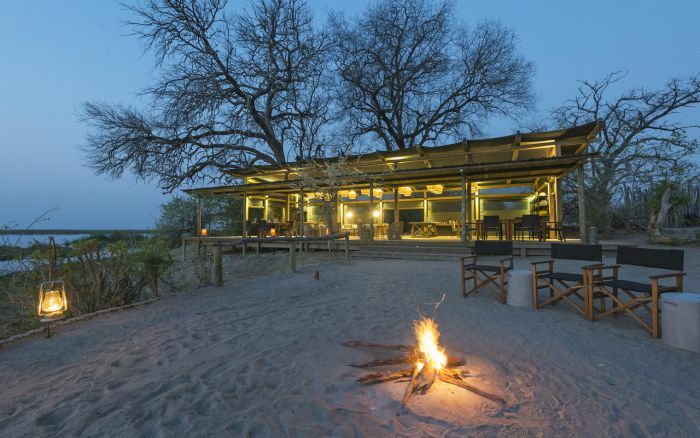 The camp faces out to the waterfront in a peaceful and private location in the private Linyanti concession, a diverse habitat on the elephant corridor. In the dry months from May through to November the game in this region is excellent. The varied habitat attracts an array of wildlife. In the dry season you can expect to see large herds of elephant and buffalo, plenty of plains game including the somewhat rare sable and roan antelope and predators consisting of lion, leopard and the endangered wild dog if you are lucky. The camp is small and simple, a no fuss option with all the comforts you need. It’s well suited to those who are looking for a little more adventure with their safari. The four safari tents are linked to the main area by sandy pathways. 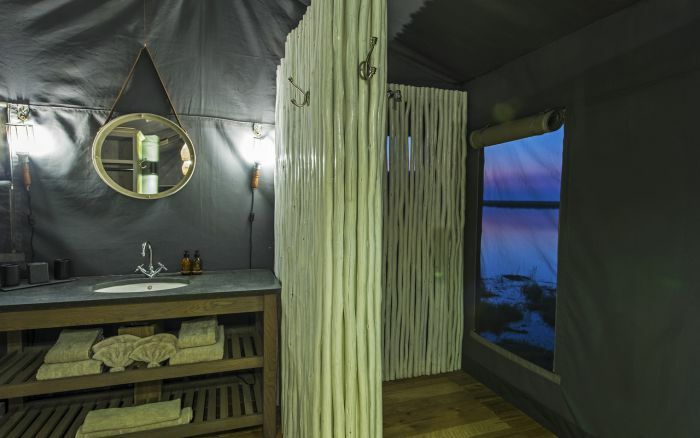 The traditional meru tents have an ensuite with hot water showers, a separate toilet and washbasin. There are two three-quarter beds adorned with plush pillows and cushions, a plump duvet and finished off with contemporary fabrics. Sliding doors lead out to the veranda which as seating, you can enjoy some privacy as you look out over the water. The main areas are open-sided, again adding to that feeling of bush adventure. 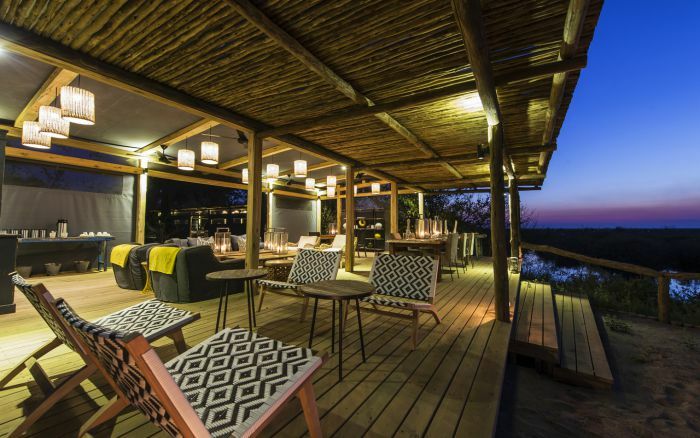 There’s a bar, lounge and dining area under canvas, but there is also a traditional boma where you can dine under the stars. 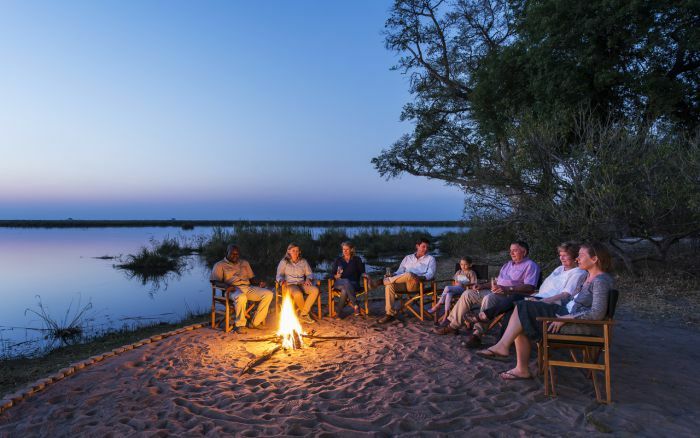 Finish off the evening with a night-cap around the fire-pit swapping stories with guests and guides alike. The best way to explore the area in in a 4x4 game drive vehicle. These take place morning and afternoon, and can also be done at night. There’s nothing quite like a sundowner in the bush, watching the sky change colour and then making your way back to camp via spotlight, seeking out the nocturnal animals that come to life after the sun has set. Nature walks may be available on request but this is always at the discretion of management. Safety comes first and if there is a high density of predators or elephants in the area, then it may not be safe to do so. Children aged 6 and over are accommodated, but from 6 to 16 yrs they must share a tent with their parents. Walking activities attract a minimum age of 13. The 4 traditional meru tents are reached by sandy walkways and offer secluded accommodation with indoor and outdoor seating, en-suite with shower and separate flush loo, veranda.